In your wanderings in life you will encounter many stories. These stories will embody the human essence of overcoming the near impossible in the face of difficulty. There will be stories of survival, revival and atonement. But what all these stories will have in common is that they are stories of the heart. In your wanderings you will fall in love with these stories and they will encapsulate your heart and have a divine impact on your approach to life, love and everything else. I have encountered a few stories in my life already that have captured my imagination, but only truly one that has captured my attention and has captured my heart and that is the story of the Unogwaja Challenge. In 1912 a young man was born and little did he know, but in 21 years time he would lay down the foundation for an adventure that would draw attention from a global audience and invigorate all that encounter it. His name was Phil Masterton-Smith. Growing up Phil was a quiet kid as a genetic disease meant he could merely muster a whisper. He was in a big family and although he had a remarkably close relationship with his younger sister Biddy, he enjoyed a lot of time that could be used for reflection. 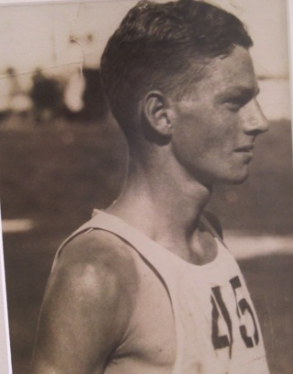 As such he turned to sport and realised at a very early age that he enjoyed the long distance running and cycling. This is an incredible story in itself, but not the story that changed my life. For that story we have to look two years into the future. The depression was a time of great difficulty and despair, it was a time of great heart ache and a time of much desolation. There was little money and even less hope. It is in the darkest hour that the brightest lights are seen. Phil Masterton-Smith’s family had moved to Cape Town. Phil was desperate to defend his “down run” crown at the Comrades, but could not afford a ticket. When many of us are faced with challenges of this magnitude we respond with resignation or indignation. But Phil’s response was one of fortitude. 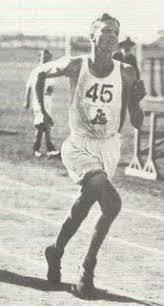 His father agreed that should he be able to get to Pietermaritzburg, he could run. This is where the story of human triumph really begins. Phil got on a bicycle, not a 2014 bicycle, but a 1933 bicycle and proceeded to take on the epic journey to get to Pietermartizburg for the start of the Comrades. Undaunted Phil braved this task with a level of heart that would set the tone for all future challengers. Not fazed by the arduous challenge that lay ahead of him, not filled with the excuses of the modern-day man, Phil began and succeeded in his traverse across this fine land. The victory was complete to many by the fact that he had made it to the starting line. An achievement so incredible that it garners specific mention in the Comrades history pages. But Phil knew this was only half the job and proceeded to run the 1933 Comrades fueled by heart in finishing in tenth place. This is the ultimate story of passion, of courage and determination. It is also a story that has captured my heart. A good story however, needs a good story-teller. In this case fate intervened as the story was introduced to ex South African Hockey Player John McInroy by Dr WP van Zyl. Ideas were immediately generated in the mind of John, who is also the man behind Red Sock Friday, and the journey started to spring to life. In 2011 the journey of Phil Masterton-Smith was re-enacted by John, WP, Lourens van Zyl and Paul Blake. The journey needed a name and it needed a purpose other than testing their own physical abilities. The naming became a very easy thing as Phil was affectionately known as Unogwaja, a respectful reference to his running ability, which was the Zulu meaning and it was that easily written that it should be the Unogwaja Challenge. The purpose was also easy to figure out. Phil was a selfless man who dedicated much of his life and his achievements to others, it was imperative that the essence of the man was recreated and so a signficant emphasis of the challenge was put on raising funds for the charities supported by the Comrades Marathon Association. Phil was tragically killed in 1942 during a siege in Tobruk during World War II whilst serving for the Natal Carbineers. The light was extinguished far too soon and his story was destined for history books. But instead of letting the story die, John McInroy and his father Chris (Stoff) have reignited the spark from which a wild-fire has started. The Unogwaja Challenge is now open to the public and garners interest from a global audience. The amount of competitors is limited to 12 with an equal sized support team. 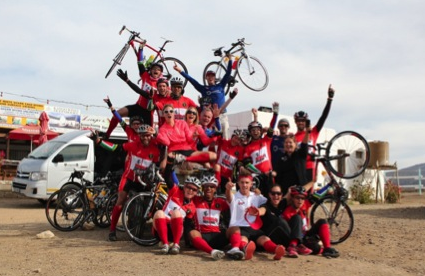 The team represents 9 different nationalities in 2014 and set about to collect R1million by the end of the Challenge. At the time of writing they have just already passed the R1million mark with their eyes and hearts firmly set on R2million now! And if their hearts are in it, then you can be sure they will succeed! As we prepare for the launch of the 4th Unogwaja Challenge next week, it is important that we pay respect to the origin of the story and not merely grant it lip service. Phil Masterton-Smith’s story is a story of courage, it is a story of determination, it is a story of overcoming obstacles, it is a story of resolution, it is a story of hope and most importantly it is a story of heart. Phil may no longer be with this world, but the flames of his story burn brighter today than they ever have. The difference his story has made in my life can not be quantified. I owe so much to him and that is why I share his story. Wherever you go, go with heart.